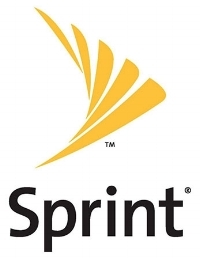 Sprint is the third largest telecommunication company in America. The industry was evolving from separate providers of long distance, local service, wireless and broadband into integrated providers of all services. Sprint was made up of individual business units that provided these services, each with different systems and cultures. The challenge was to bring all of these different groups together to form “One Sprint”. In 1996 we started working with Sprint’s senior management on developing a “One Sprint” recognition/incentive umbrella. The challenge was to design effective systems that would drive the corporate Vision, Goals, Values and Philosophy while being flexible enough for each business unit to include it own strategic initiatives. The structure included recognition for service, humanitarian service and quality improvement with the key element being the Spotlight program—focused on reinforcing correct behaviors, recognizing results and highlighting the best of the best. We integrated the corporate goals with each business unit to develop criteria that met both the business unit and the corporation’s strategic plans. Five years later, “Sprint Values Excellence” program has become part of the Sprint culture. Sprint Associates have a greater understanding of how their actions and performance make Sprint’s Vision become a reality. By recognizing thousands of Sprint Associates who have modeled outstanding behavior and achieved superior results a higher performance culture has been formed. Sprint has taken the words in the Vision and Goals off the wall, integrated them into the culture and made them real to Sprint Associates.